After having set the ramps on fire in the sixties, jumpsuits are back again. These top-to-toe one piece garments are loved by women of all shapes and sizes. 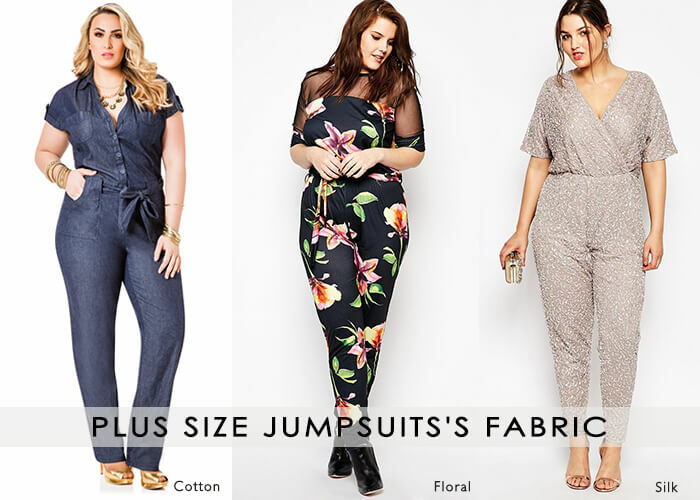 The fact is proved by the ever-rising demand of plus size women’s jumpsuits as more and more full-figured women are becoming confident and comfortable about stepping out in these stylish outfits. If you are plus-sized, there are some basic fashion-rules which would help you pick and style cheap plus size jumpsuits for women which would work for you. 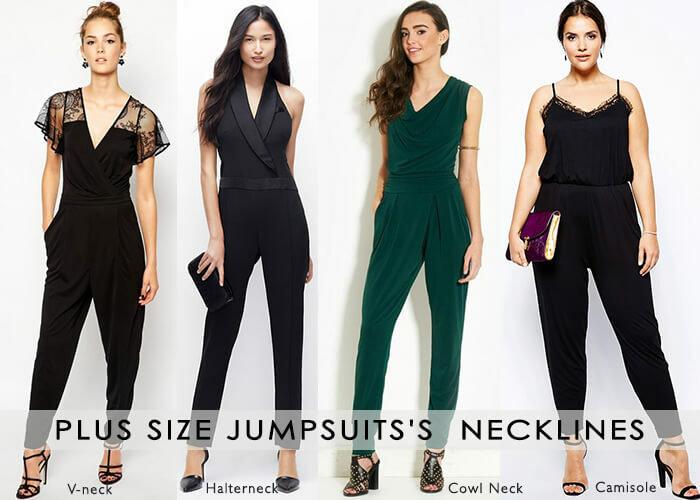 Neckline is the key feature of jumpsuits as it is something which focuses on the upper half of the body Ideally, open necklines such as V-neck, scoop neck and sweetheart look flattering. 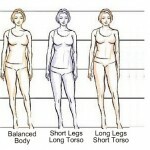 Other options are boat neck, crew neck, halter neck and cowl neck, but these are not suitable for all body types. 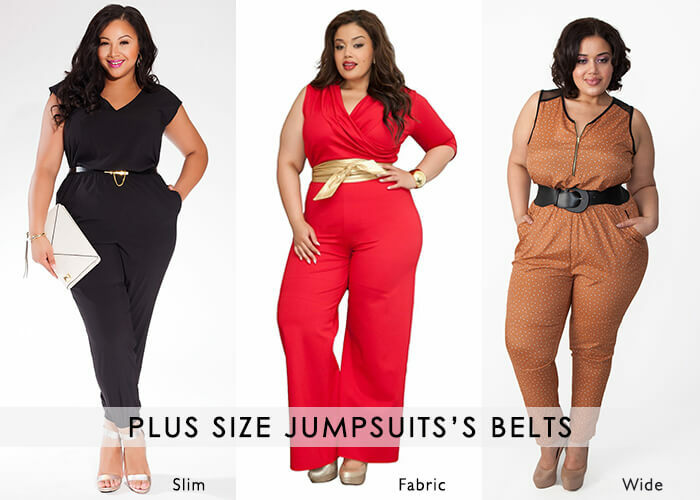 While picking plus size women’s jumpsuits, you should try them on and see whether the neckline flatters you or not. The drape of a jumpsuit depends upon the fabric it has been crafted in. Fabrics such as jersey, nylon and soft cotton provide a soft, elegant drape, making these more suitable for casual wear. For professional wear jumpsuits, stiffer materials like silk and cotton are the best. Jumpsuits epitomize the retro look which is the reason why you should experiment with colors to make them more contemporary. Color blocking is a good idea and so are prints and patterns. But follow the rule of thumb for plus size dressing while opting for prints; you should look for smaller prints and vertical stripes and patterns as these impart an elongated look. When it comes to jumpsuits, comfort is of utmost importance and you will be comfortable only if the garment is sized perfectly. Customization is a good idea if you want a jumpsuit that fits well and is designed according to your specifications. To have a look at the latest collection of cheap plus size jumpsuits for women, log in to www.lurap.com and avail attractive discounts on the outfits on offer. You can pick them in standard sizes or have any piece customized according to your measurements. Check out the “Your Design” section and have any designer jumpsuit replicated in your size by simply sharing the image of the same.